LPDA-K001 is a directional LPDA antenna, tripod and cable kit for laboratory use from 400 to 6000 MHz with typical gain of 6 dBi and 100W power handling. LPDA-K001 wideband log periodic dipole array antenna kit contains the commercial-grade aaronia HyperLOG4060 LPDA antenna, mini-tripod grip, 3m SMA to N coax cable and handy carry case along with a 2m carbon fiber adjustable tripod with three-way head for V-pol or H-pol mounting. 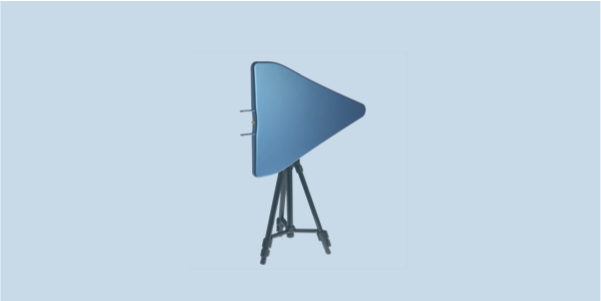 HyperLOG4060 log periodic antenna covers 0.4-6 GHz with 6 dBi gain, low VSWR and handles 100W input power.